New homes and their warranty coverage are increasingly in the news these days, whether because of rising prices or other challenges, and are the subject of some debate. And not all provinces handle new home warranties the same way. The bottom line, no matter where in Canada you're located or who provides the warranty coverage, do you research. There's an old joke in some circles that new-home buyers spend more time researching their next wireless device than they do a new home. Well, those days are over -- or they should be, if you want to avoid a homebuying gong show. New homes and their warranty coverage are increasingly in the news these days, whether because of rising prices or other challenges, and are the subject of some debate. And not all provinces handle new home warranties the same way. In Ontario, the provincial government empowers Tarion Warranty Corp. as the sole new home warranty provider -- the primary backer of about 50,000 new homes every year. In B.C. 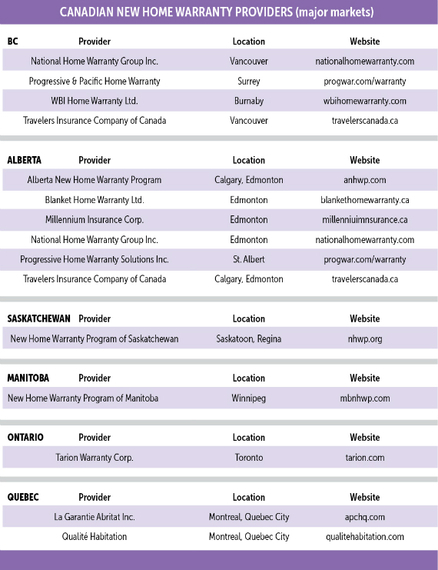 and Alberta, the situation is very different -- about a half-dozen companies in each province provide new home warranty coverage. Should your new home warranty be any different than the insurance business, where consumers can contract their own car, home or medical coverage? Or should it be any different than when you buy a new car, and the warranty is provided by the manufacturer, or an affiliate thereof? The importance of warranty coverage became front-page news in Toronto recently when one builder, Urbancorp, was at risk of being de-registered by Tarion because of concerns over its customer service, high number of warranty claims and financial position. The company recently announced it had initiated restructuring proceedings under the Bankruptcy and Insolvency Act (Canada). Naturally, such developments worry new-home buyers, whether they've only put down deposits or have moved into their new homes and expect warranty coverage. Rest assured, new-home buyers in this case, Tarion still has your back. The status of the builder does not affect your warranty rights. 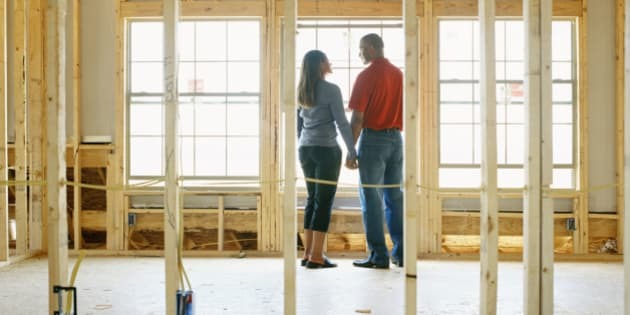 "If the homebuyers receive a completed home, they will also receive the three warranties that come with that home -- the one-year, two-year and seven-year warranties," says Tarion President Howard Bogach. "This is in addition to possible delay compensation." If buyers do not receive their home, their deposits are protected under the warranty up to a certain amount. For freehold homes, it is $40,000. For condominiums, it is $20,000. Condominium deposits are also protected by the trust provisions of the Condo Act, so condo buyers should receive their full deposit back. The bottom line, dear homebuyer, is that no matter where in Canada you're located or who provides the warranty coverage, do you research. Is home building the company's profession? Is home building the company's primary business? Or is it a part-time or more recent focus? Home building is a serious business. It takes commitment to keep up with industry developments, and it requires solid business skills and a track record of satisfied clients. What is the company's experience, and how long has it been in business? Good builders are proud of their track record, whether they have been in business for three years or 30. They will tell you about their background, training and experience, strengths and what sets them apart from others. Is it a member of the Canadian Home Builders' Association (CHBA)? Membership in CHBA is an indication of a builder's commitment to the industry, to the success of their company and, ultimately, to their customers. Members agree to a Code of Ethics that calls for fair and honest dealings with consumers. Is it a member of a home warranty program? Warranty programs provide additional protection for the homebuyer's investment. In some regions, there is a variety of warranties available. Ask the builder to explain the details -- you want the warranty that best meets your needs for both the short and the long term. Will the company provide references from past customers? Contact past customers to find out how satisfied they are with their new home. Ask if the home was completed on budget and on time, what the builder was like to work with and about the company's after-sales service. What after-sales service does the company provide? Professional builders stand behind their homes with an after-sales service program. Ask the builder to explain the program in some detail: what's covered, how to request service and the typical response time. Can you visit the work site? The work site offers many clues about the company and the quality of its homes. Ask for a tour of a home under construction and a chance to meet the site crew. Take note of the details -- whether the site is clean and orderly, and how materials are stored.